Get ready to come face-to-face with a real life giant this year at Drusillas Park in East Sussex. 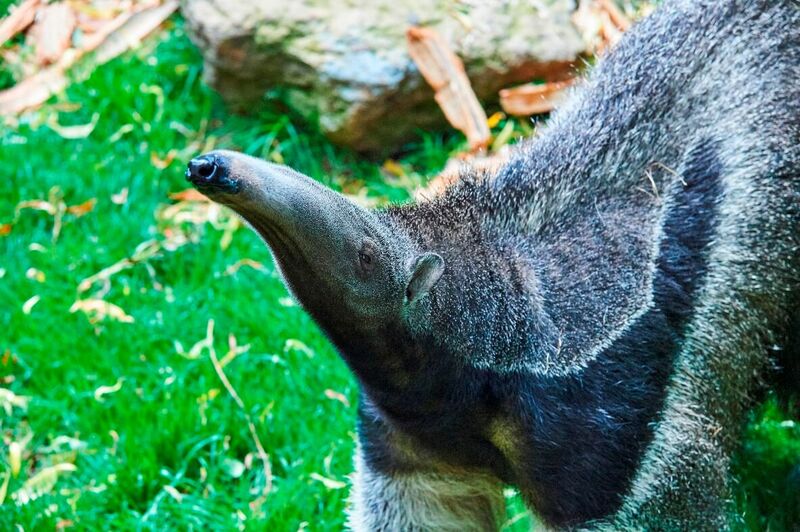 Brand new for 2018, the award winning zoo is offering the unique opportunity to get closer than ever before to their two beautiful giant anteaters. Drusillas currently runs a range of extremely popular Close Encounter animal experiences which allow a member of the public to get nose to nose with some furry and feathered favourites. Lasting between 30 and 40 minutes each, the current experiences include: Lunch with the Lemurs, Meerkat Meeting, Tea with the Coatis or Beavers, Penguin Feeding, Snuggle up with a Snake and Tickle a Tarantula. Following the success of each of these experiences Drusillas made the decision to open up their Close Encounters to one of the zoo’s largest and most beloved residents. Normally found snuffling around the grasslands and forests of Central and South America, giant anteaters were a new species introduced to Drusillas Park last year. These extraordinary giants are often underestimated but their unique and quirky characteristics make them incredibly impressive. Growing up to 7ft in length, the giant anteater understandably has a fierce appetite and feasts on around 35,000 ants and termites each day. Using its razor sharp claws and powerful forelegs it tears apart anthills and termite mounds, scooping up insects with a long sticky tongue that it can shoot in and out of its snout more than 150 times a minute. The experience is open to anyone aged 6 years and over and is not something you want to miss out on. Drusillas has predicted the experience will book up quickly, so make sure you get in first and reserve your space. The giant anteater encounters are not the only new thing Drusillas has launched for 2018; you can now also take part in Close Encounters with their sloths and camels! Click this link for full details.